We are currently hiring for our next Environmental, Health & Safety (EHS) & Security Manager in Boston, MA at our Samuel Adams Boston Brewery with the ability to travel up to 25% of time. 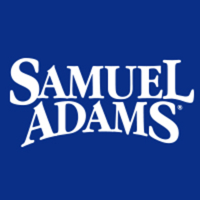 To assure compliance and drive continuous improvement of programs related to Environment, Health, Safety and Security for the Samuel Adams Boston Brewery and A&S Taproom/Retail locations. Provide Environmental Health & Safety (EHS) leadership and support for the Samuel Adams Boston Brewery and A&S Taproom locations. Demonstrate strong leadership skills as a member of Samuel Adams Boston Brewery site management team. Institute site injury prevention program to include hazard analysis, JSA, incident / accident investigations, trend analysis, etc. Work closely with the functional departments to coordinate activities in their respective areas. Periodically requires off-shift work to meet with employees and conduct training. Our people are our most important “ingredient.” We not only have to hire the best, but we have to reward, develop, and retain them too. We also have a variety of benefits including a competitive compensation package, extensive training programs, excellent healthcare, a discounted stock purchase plan, and a 401K program with a generous company match. Not to mention, there’s the free beer too! Boston Beer Corporation is an equal opportunity employer and is committed to a diverse workforce. In order to help ensure reasonable accommodation for individuals protected by Section 503 of the Rehabilitation Act of 1973, the Vietnam Veteran’s Readjustment Act of 1974, and Title I of the Americans with Disabilities Act of 1990, applicants who wish to request accommodation in the job application process can contact for assistance.